It's been quite a year for Ken Edwards and we've still got a ways to go! Ken started out the year by shattering his leg and just recently was able to get behind the wheel and start running track events again. Fortunately, his injuries healed up enough to allow the New Yorker to get behind the wheel for last month's Motorstate Challenge, where Ken picked up an invite for the OUSCI. The Mustang is not Ken's first foray into Hot Rodding or competitive driving. 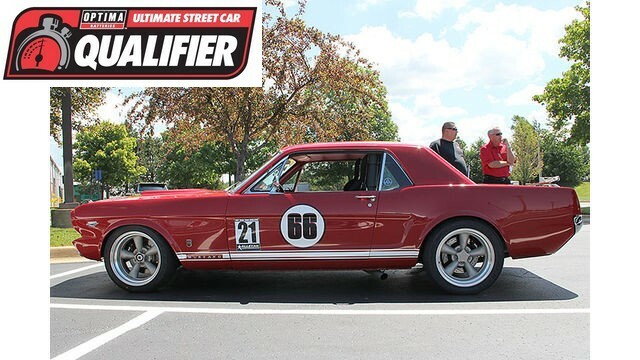 Seven years ago, he purchased a 1968 Camaro for his son, Ken Jr.'s birthday and the two had so much fun working on the car together, that three years ago they picked up this 1966 Ford Mustang, so Ken Sr. would have a set of wheels to drive at events alongside his son. 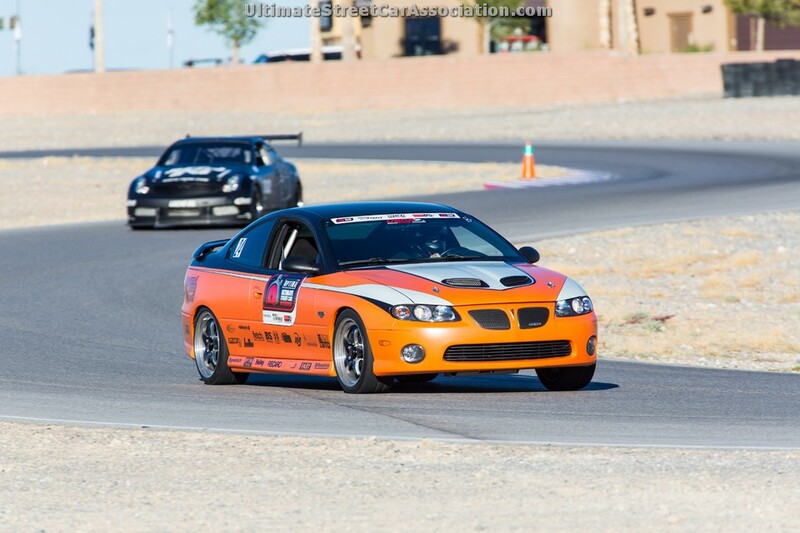 The two have been mainstays at Pro-Touring events ever since (and totally addicted to autocrossing). If you've been to Goodguys shows at Charlotte, Columbus or Springfield, there's a good chance you've seen this car already. The two Kens are also fixtures at American Street Car Series events. 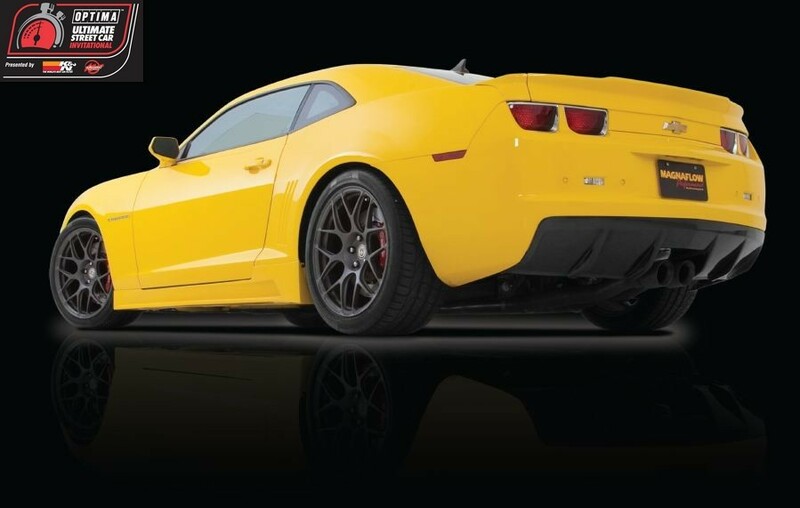 Ken also recently received another feather in his Pro-Touring cap, when he was invited to compete in the Popular Hot Rodding Musclecar of the Year competition in 2012. Unfortunately, a blown engine put an end to that event for Ken, but he seems to take it all in stride. Ken describes his Mustang as "old school vintage Trans-Am," although he acknowledges it has been getting some upgrades recently. The car was built out in California in the late-1990s, before it found it's way out to Long Island around 2000. Ken has been scrambling around lately (as one might expect after an OUSCI invite), but we'll be sure to get a full preview on his Mustang up before SEMA. For now, we can tell you he has some good folks in his corner, including past OUSCI competitor, Mike Maier, who has been helping get the pony car set up for it's date in the desert. We're looking forward to see it there and we'd love to have you join us! OUSCI tickets are on sale now, but less than 700 remain. This event sells out in advance every year, so we would encourage you to buy your tickets and make plans now, because once they're gone, we have to close the gates.